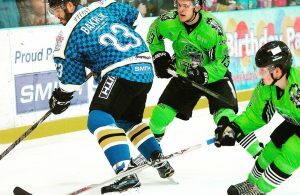 For the third year running we are organising a Redway Runner Social evening to watch the Milton Keynes Lightning ice hockey team. The match is on Saturday 21 January 2017 versus the Guildford Flames. The game starts at 7pm at the ice rink just behind “Argos” and “Toys R Us” near MK Central Station. MK Lightning are having an excellent season, being 2nd in the league at the time of writing. Let’s see if we can beat the 135 who attended last year! We have managed to get an excellent discount on ticket prices. Adults will cost £10 (instead of the normal £15) and children under 16 years of age will be charged at £5 (instead of the normal £8.00). Those who have never been to ice hockey before are in for an evening of a fast paced, hard hitting game with the odd fight here and there! The game will be over at about 9.15pm. There is a splendid bar and good food and beverage facilities. We will all be seated in a block together which will add to the fun. 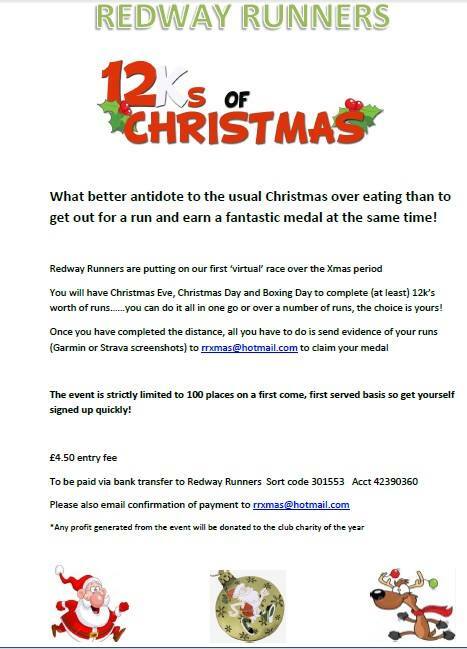 or a cheque (payable to ‘Redway Runners’) to Martin will secure your seats. Absolute closing date will be Wednesday 18 January at 5pm. The committee have agreed the club fees for 2017/2018 club year and again we will be keeping membership at £5 – hopefully you will agree fantastic value for a whole year – renewals are not due till the 31 March. 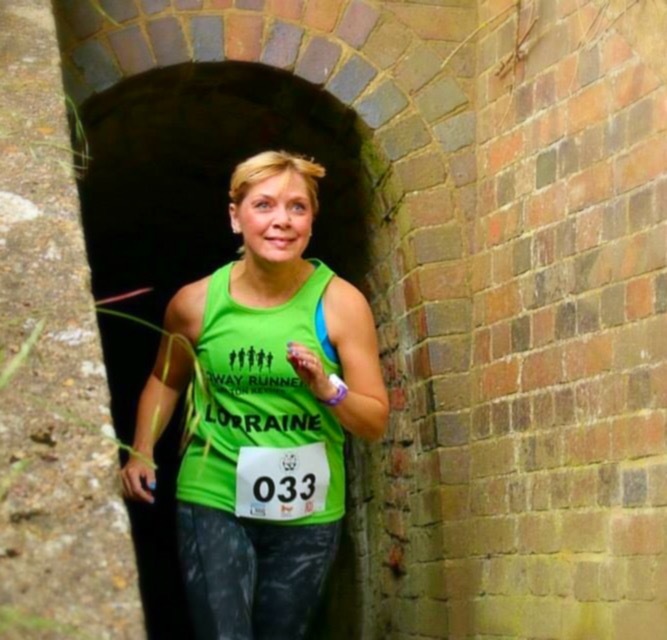 We go on the run with our members and we find out a bit more about them – which we thought would be great to share, this time it is with Lorraine Devereux, Lorraine has been with the club for over two and a half years and not just running but helping behind the scenes. I started running to complete just 1 race, a 10K for charity back in 2013. My nephew who was 6 was diagnosed Diabetic T1 & on a sunny afternoon a few weeks after diagnosis we were out at the park when Race for Life was on & he said “Auntie Rainey, do people ever run to raise money for Diabetes, I know they do for cancer?” the seed was planted – I ran the British 10K for Diabetes UK in London on my Birthday, cheered on by his little face & that’s how it all began – afterwards I thought, “hang on a minute I enjoyed that” so I am only doing 1 race led to me joining the Redway Runners in 2014 on recommendation of a friend & here I am today, still running ….. I usually get to 1 or 2 runs a week, work dependent. I always run on a Weds as a definite with Tom who joined the club back in April. Tom has Asperger’s and I have been his buddy, although he is now much faster than me & leaves me for dust! To complete the London Marathon in 2017. The last 12 months more than ever has reinforced why I love to run – sadly both my Mum and Father in law are in poor health with cancer – running for me is a way of switching off just for a while – at a club run where no one knows what a bad day had & you can run & talk about other things or even just a 20 min whizz around the block, it definitely helps …. Probably the Tough 10K, my 1st trail race I did just this month – should have realised the clue was in the title, the weather was horrendous, and to top it all it left me with an injury!! Having said that, I have registered for next year – my stubbornness leads me to think I can improve on this years’ time! Me at the finish of the Great North Run 2015, I cried when the Red Arrows did a fly by! I never use to cross train but since a nasty Achilles injury last year, I try to – I love spinning, try and incorporate some core and weights, not as much as I probably should! I also tried Hotpod Yoga this year and that worked a treat on tired muscles so will be def being incorporating that into my training plan for London. Gotta love a loop back, of course! Absolutely it happened (although every now and again I do like to share LOL !!) I do log my runs on Strava via my Garmin – I find it really useful to see how I am doing, in most cases to show how absolutely shocking I am at pacing, particularly in a race like a half marathon – this is going to be one of my biggest challenges I need to work on if I am going to complete my first marathon next year & not peak at about mile 10!!! Flapjack – I am not great at fuelling the morning of a race, nerves do get to me a little, but no matter what time of day (6.30 in the morning before the Bournemouth Half), I can manage flapjack!! Don’t be so silly – NO!! New York – I fell in love with NY when I visited so to go again and run would be another bucket list moment for me. 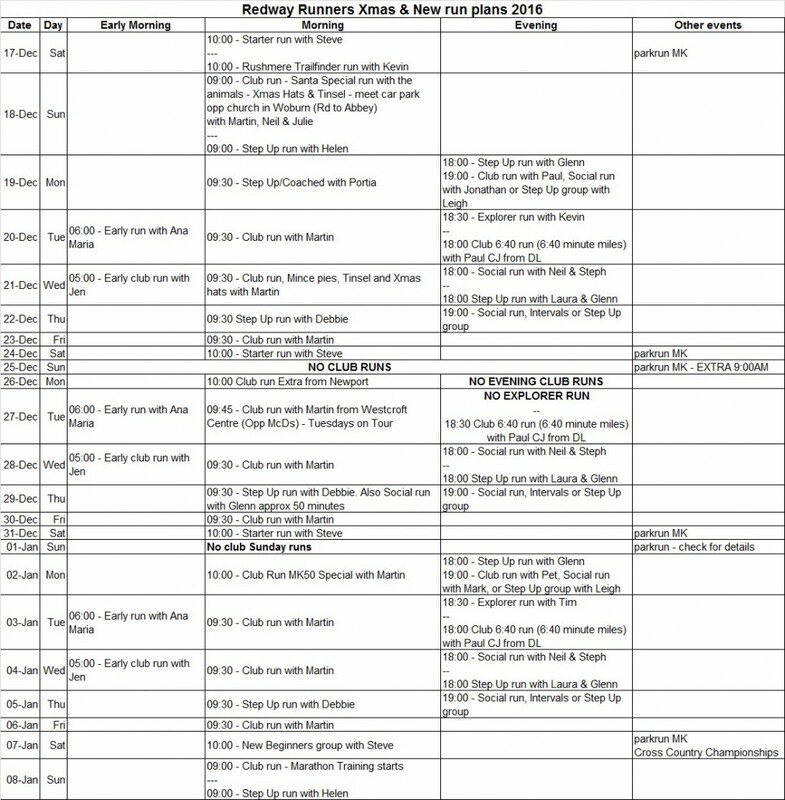 With Christmas and New Year approaching, does not mean you have to miss your running, we will have plenty of club runs available with a fairly full programme – but of course a few changes to some club runs. 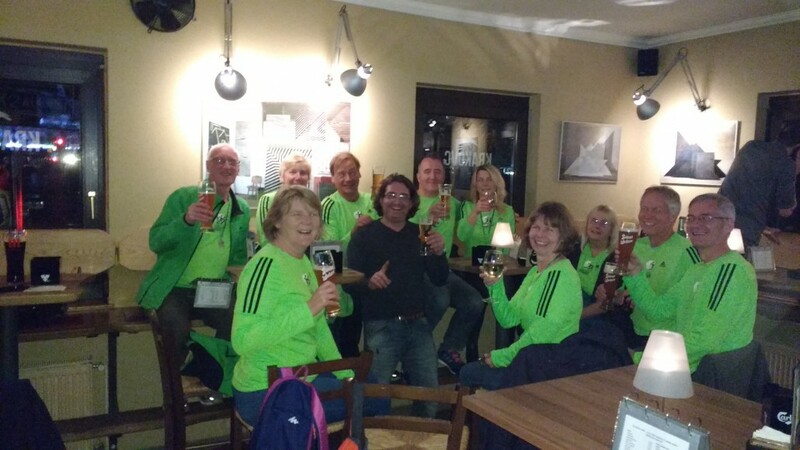 Great news, we have another social sorted – Club member Franzi has sorted for the MK Biergarten, Milton Keynes’ first (and so far only) micropub and bottle shop, to open its doors specially for club members (and guest) on on Tuesday the 20 December from 7pm to 10pm. In German beer culture a Biergarten is a comfortable, friendly space and the MK Biergarten has a wide range of bottled and draft craft beer and cider both from the UK and further afield. They also sell soft drinks and wine by the bottle. So a chance for a chat and drink with fellow club members before the Christmas break. Full of trepidation, the eight of us met in a cold but Sunny car park at the back of Tongwell lake to prepare for the onslaught of the day. Someone somewhere had come up with the idea of running a cross country relay and seven of the eight of us had been rather foolhardy in putting our names forward!! We divided ourselves between two cars and prepared for the journey from Milton Keynes to Mansfield. After a brief stop at the services to make sure that Paul caught up and didn’t get lost again we went in a small convoy to the course!! We arrived to find a packed course with literally thousands of runners hanging around, looking serious and clearly knew what they were doing. Nerves began to take over with trips to the toilet, panic buying of spikes and removing the general malaise from the journey. In typical cross country fashion we were rather relaxed about the preparation, despite the rather star studied field that awaited our presence. We took advantage of the facilities and did a few laps of the athletics track to warm up, and figured that a jog around the course was of no value as we would either scare ourselves silly or get completely lost!! As we had split into teams designated by the car loading we had James Down, James Armstrong, Martyn Douglas and Paul Mizon in one car (AKA the non-fun bus) and then Aidy Maidment, Neville Rowles, Stuart Sullivan and Simon Read in the other (the fun bus) The order of running was allocated and we prepared to race!! There was an announcement on the tannoy and suddenly the first leg runners disappeared around the corner followed by a large bang and some cheering. Next thing we knew there was a crowd of them running around the lake. We prepared to figure out what to do next as of course none of us had any instructions, had not read any and didn’t listen to anything we had been told!! Some simple points like how does the handover work would have been useful!! Fear not, there will be a few teams ahead of us and we will figure it out we agreed!! Shortly after, the leaders came through on their first lap and to say that they were motoring would be an understatement!! Not long after, the green of redway could be seen with the bobbing head of James Down at the helm, the non-fun bus cheered but their cheers were soon quietened by the appearance of a rather fresh faced Aidy Maidment hot on the heels of Mr Down. They disappeared behind the lake into the wonders that we were soon to discover and the second leggers had to strip off and get ready to go.!! James and I kept our kit on as long as possible to protect against the biting elements (its cold up north don’t you know) before finally succumbing to the demands of the officials and going into the handover area.!! Well, describing the handover area as chaotic would be an understatement!! It was like a bunfight at a nightclub bar on payday Friday with one barperson who was on their first shift!! I have to say that I’m not quite sure what happened next, but there was lots of shouting and before I knew it I saw James fly by and James ii speed off, I’m going to get him on the first hill I thought (in my dreams, he must have 30 years on me !!) Anyway, James was a softy running in gloves and a hat so I could see him clearly, whereas the rest of us were true ‘hardened cross country fellows’ as you do, in our flappy shorts and brief singlets!! (fools!) Suddenly, before I knew it, Aidys head popped over the hill and I dashed to the handover line as they called my number and I went off like a rocket!!! Yep, started too fast again and it was down hill !!! Well, we sauntered on lovely patch of grass around a very pretty lake before a short sharp climb at a gap in the trees, a lovely fast decent across a bit of mud before having another short sharp climb into the trees !! Then began the viscous cycle of short sharp climbs and rapid descents before emerging from the treeline into the Nottinghamshire tundra where the temperature dropped by about 30 degrees !!!! At this point I understood James’ logic of wearing the hat and gloves and cursed my foolhardiness!! Mind you, I could see him in the distance and in my own deluded mind I was catching him up !!! (sadly not ) A lap of the tundra beckoned with a brief respite from the elements before embarking onto the downhill part of the tundra before returning to the uppy downy routine from before as we then flirted with the start finish area, however, they were teasing with us as we were sent around again !!! Cruelty to senior citizens I’d say !! By now I was absolutely blowing from all angles and despite being freezing cold was running ‘flat out in top’ as they say !! The strategy from me became a quest for survival and to lose as few of the places that Aidy had given me as possible whilst accepting that my ambitious plan of catching James was at best somewhat flawed !!! Anyway, despite my low morale at this point I was encouraged extremely well from the other team members and all of the support and felt like a real star, despite feeling like I was backpedalling. I had actually passed a few people on the first lap, however, this was offset by being passed by some of the faster ones who had snuck onto leg two !! (Don’t they know the rules in relays, slowest person always goes second !!) Next thing I knew, (I had barely passed the first corner of the lake at this point) I could hear heavy breathing down my neck so I put on a spurt to hold them off and make them suffer !! , well this lasted for all of about a millisecond before I was spattered in dust, mud and the debris from the first three objects which I later discovered were the leading three in close competition. Someone mentioned that it one of them was a chap called Andy Vernon, who apparently is very good at this running lark !! Well, the bugger didn’t speak to me and he left me eating his dust !!! 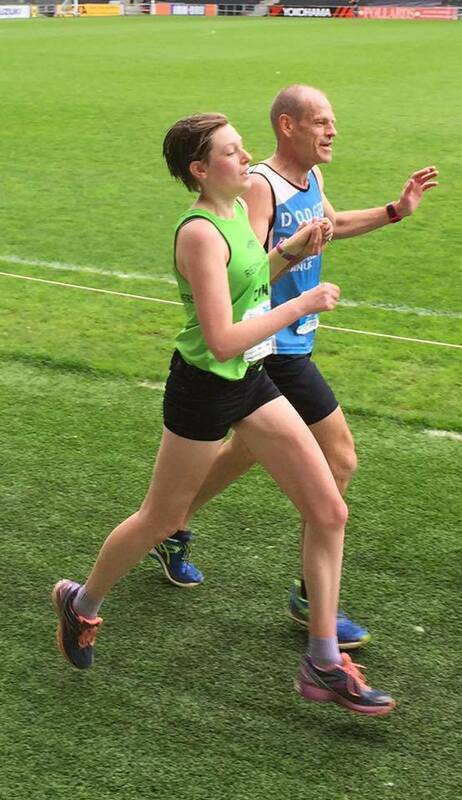 Worse thing was realising that I was a leg two runner on my second lap and he was a leg three runner !! Shaken, but not stirred, I saw this chap about my age (yes, there were some others over 50 !!) in front of me and had him in my sights !! 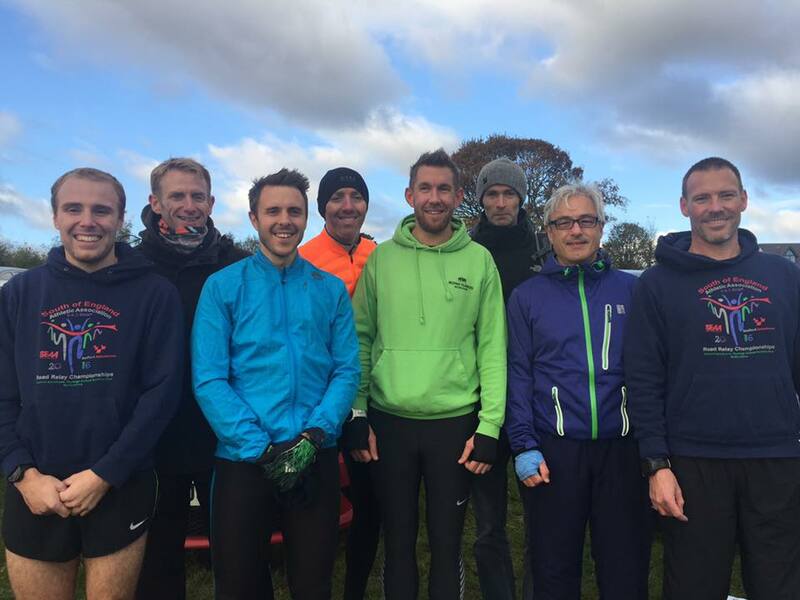 In the aftermath of the event, James claimed to have held up Andy Vernon, slowed him down and then run alongside him as a kind of ‘have a go if you think you’re fast enough’ kind of challenge, although the rest of us think he was being somewhat economical with the truth over this !! The finish beckoned, not before long I thought as the second lap passed in a blur having failed in my goal to catch the dastardly James !! I’m not sure what happened next, but Martyn from the non-fun bus team had by then removed his jeans and shoes, decided to do a warm up and went off with his massive strides to churn up the course and to set right the wrongs of Andy Vernon. Sadly, I didn’t witness any of Martyn’s run as I was dazzled by the fluorescent orange of Stuarts brand new spikes that had burned the back of my retinas!! Stuart, despite being in the ‘bigger boys bus’ had ventured onto the course with both gloves and hat, this despite wearing spikes that you could have seen from Mars!! Before I knew it, Martyn was in and Paul was, in his typical way, off like a whippet across the course, shortly after, the glow of orange crested the hill which could only mean the arrival of Stuart back to the fold and the departure of Simon. Well, Paul must have eaten something special on the stop off at Starbucks, or had a double espresso or something as he positively flew around the course, despite the fun bus leader Simon throwing his all at him he just could not make up the damage caused by my overly keen start speed!! Paul came around on the first lap with his feet barely touching the ground he was going so fast only to be passed by Andy Vernon doing a ‘gentle warm down lap !!. Simon was in keen and hot pursuit, but his legs still had some of the effects of the rather fast Marathon he had recently completed in them and despite running fantastically he couldn’t make it all up against a supercharged Mizon. Everyone behaved and admired the talent running before them and with them from a respectful distance, well, that is except for one member of the team, who shall remain nameless, who fawned at the feet of a certain Mr Andy Vernon like Baldrick before Blackadder and had a selfie with him and then got him to autograph his number. So, who’s up for parliament hill and the Southern Cross Country championships then, we need at least 9 or perhaps we can get two teams in? 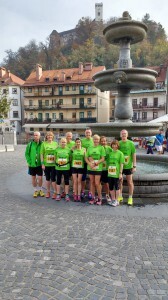 Well Redway Runners went to Ljubljana in Slovenia for the last weekend in October 2016 for the club trip with the half marathon on Sunday. Ljubljana was a lovely city. Thursday we picked up our numbers and visited the expo. Friday did our own Friday morning club run and managed to find a great hill. Then rest of the day sightseeing. 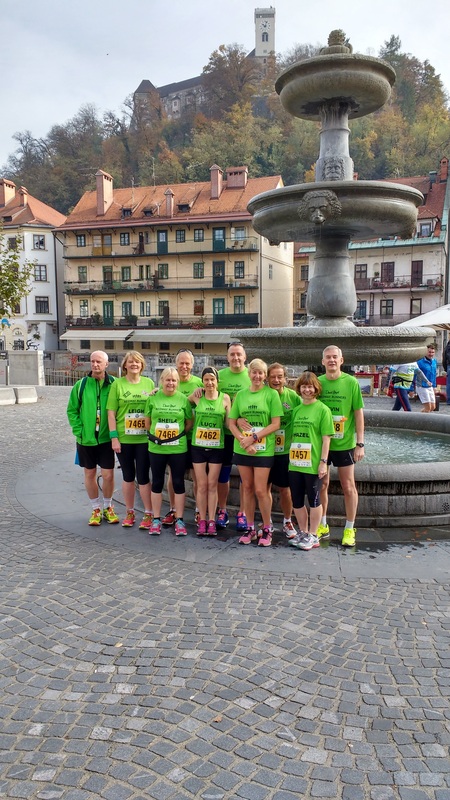 With the extra hour in bed meant a fairly later start for the runners doing the half marathon, great run around the street and parks of the city, all of us took the option of the half marathon. The event was really well organised but the finish was a bit chaotic. We met up for a celebratory drink in the afternoon and then again for our post race party in the evening. The ’12k’s of Christmas’ is exactly as it sounds – we challenge you to complete 12k worth of runs over Christmas Eve, Christmas Day and Boxing Day with a festive medal for everyone who completes the task! I used to run when I was at school but then I grew up and got increasingly lazy so I stopped for a few years. As I was coming back to Milton Keynes for a year, I decided to sign up for the Zero to Hero Programmed in July 2015 and became a member at the same time. 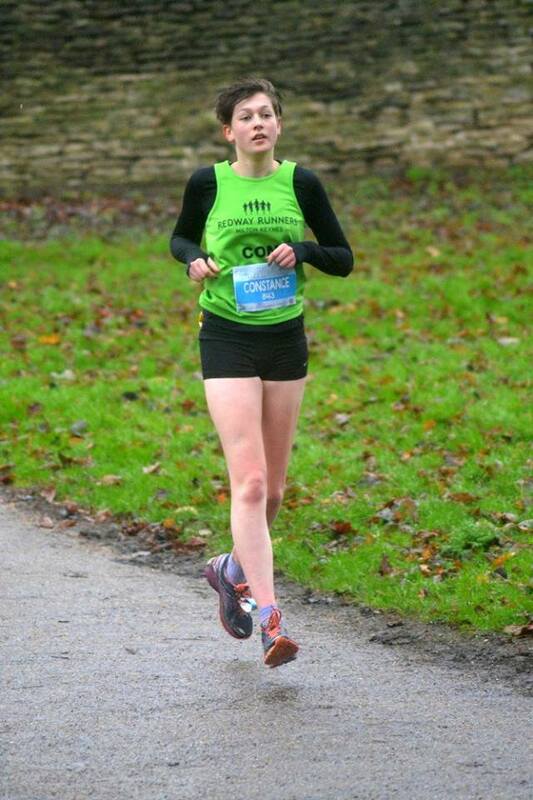 Now I’m back at University, I’ve started running with the Leeds Cross Country Club. Like RR, they’re brilliant at tailoring sessions to allow individuals to work to their own goal, but I’ve found that their longer runs are less inclusive than Redway Runners as apparently they haven’t heard of loopbacks. The first RR run I ever did was the Monday night set club run route. I ran with my Z2H mentor at the time and we actually had to take a shortcut as I could barely manage 3 miles, let alone 4! Nice to know now that I use the same route for recovery runs after my long Sunday run. The Sunday long club runs were essential to my training as the company takes your mind off of the distance. Monday night runs were good for recovery, and the Wednesday morning session was good fun when I could get to it. The Thursday night interval session/social run was usually hard work but I felt good once I’d done it. Everyone who knows me will know that Amanda and I usually come as a pair (even though she’s a lot quicker than me) and I love running with the friends I made through Zero to Hero. Everyone in the club is super friendly so I’m happy to run with anybody. 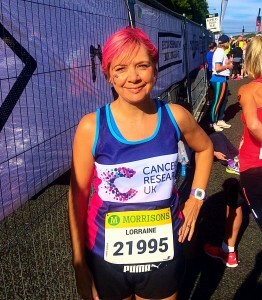 Running the Milton Keynes Marathon in May was amazing, and something I’ll never forget. I wanted to complete it in under 4.5 hours which I did, mostly thanks to my Dad running with me. I also ran MK parkrun in under 25 minutes last month so I’m now hoping to bring that time as close to 20 minutes as possible. Most of the time it’s so I can eat whatever I want without worrying about gaining weight! But also for stress relief, and to see friends that I don’t see otherwise. 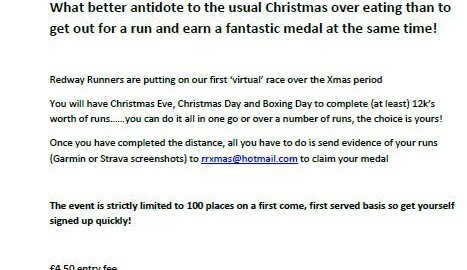 Unfortunately it would have to be the Christmas Woburn Club run through the safari park. Seeing the animals was fab, but I got a really painful stitch about halfway round and had to walk/run the rest. Oakley 20 was also horrendous. My favourite photo is of my Dad and I at the end of the Milton Keynes Marathon. Throughout Z2H, I had injuries and set backs so at this point in the race I was just so proud of myself that I had managed to finish the race, and to fulfill my Dads dream of running a marathon with one of his children. Every 4/5 weeks I will have a wobble with my running mojo. Usually it’s because I’ve been injured or haven’t had the time to make the club runs. As soon as I get back to seeing everyone and running in a group, the mojo comes back. If I’m over halfway through a mile when I get to the end of a run, then yes I would round up. 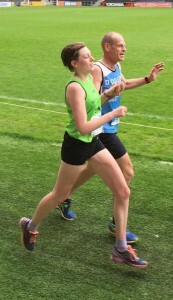 I learnt that pacing is really important, especially in the first half of the race. I wouldn’t change much, except maybe the fact I think I got too excited with the carb-loading the days before the race…. Making sure that I’m still breathing. I usually dislike running the loop backs but they’re brilliant for keeping everyone together and also mean that people of different speeds can still socialise on a run. Always distance. Time isn’t important in running, just as long as you do what’s right for you. Bacchus. The reasons for that are pretty obvious. I go for a very slow jog the day before a race to get the legs moving but apart from that it’s business as usual, apart from all the worry and moaning that I offload to the people around me. Lots of water throughout the day, and usually a dinner of pasta with bread, and a rice pudding to finish off the day. I haven’t been able to complete many different parkruns but on Boxing Day last year I managed to run the Portsmouth race. The route consists of 2.5km out along the seafront and 2.5km back with the wind literally blowing us across the path but everyone was wearing Christmas gear though so it was all good fun. My tiny running shorts that everyone makes fun of me for wearing. I’m hoping to run some of the races this year, and I took part in the last year which was a really good thing to do. The motivation from the other club members is brilliant, and it doesn’t matter how slow or fast you are. Considering how unlikely a win is, I’d settle for a PB.